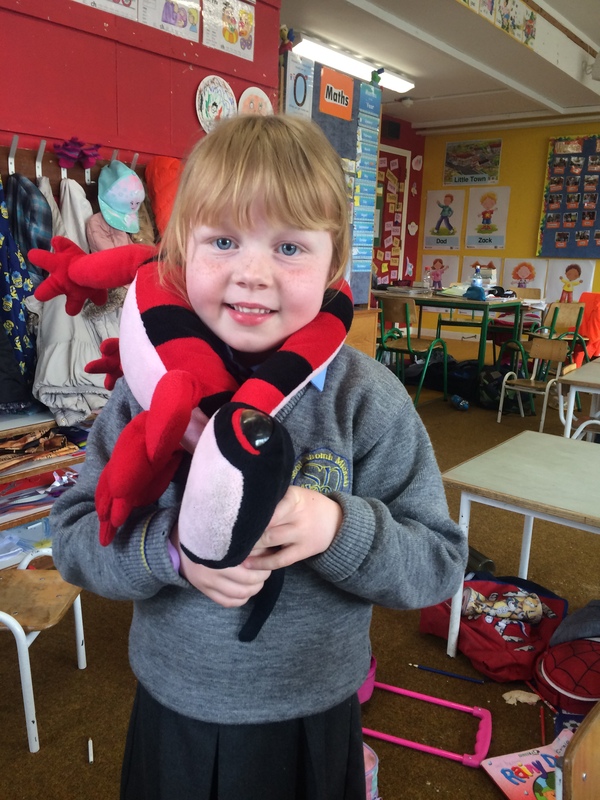 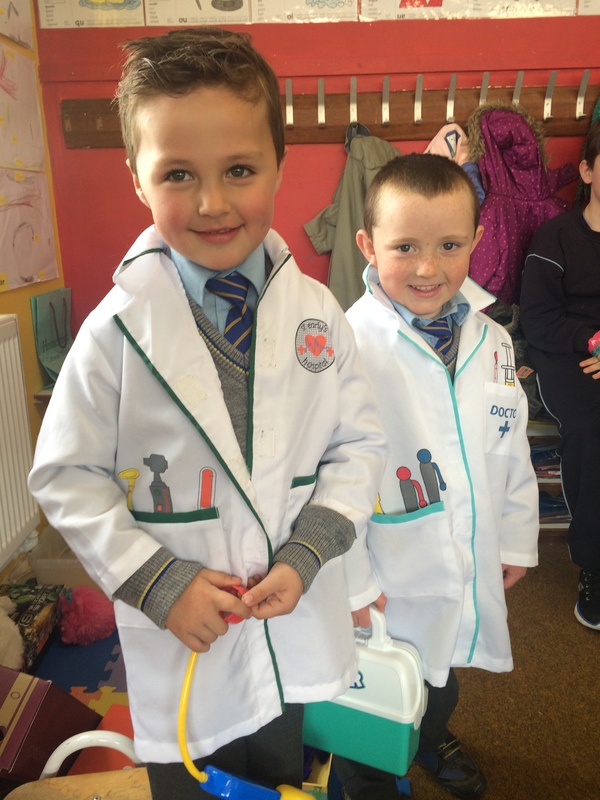 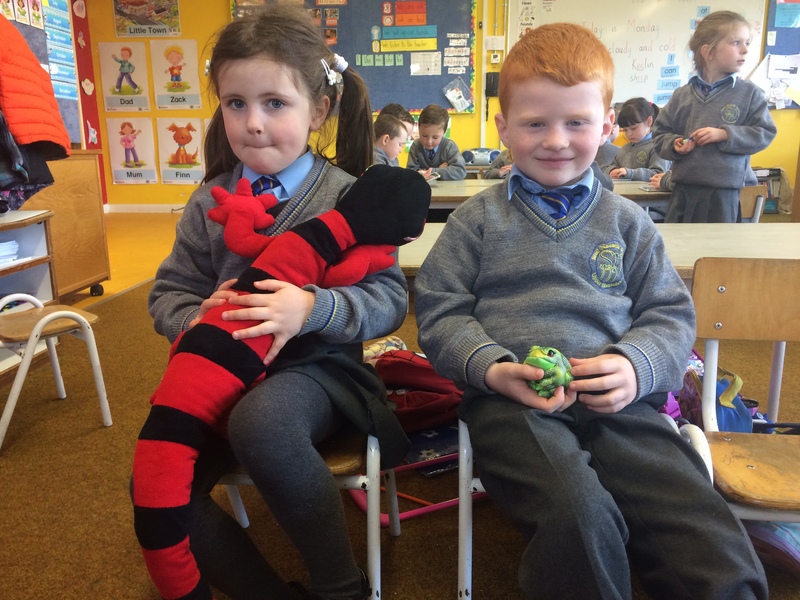 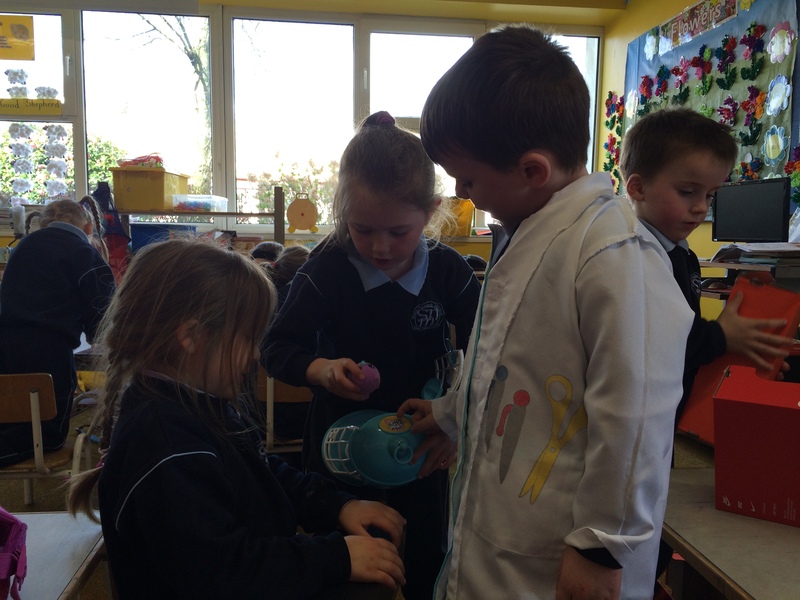 Junior Infants have really enjoyed ‘The Vets’ as a theme. 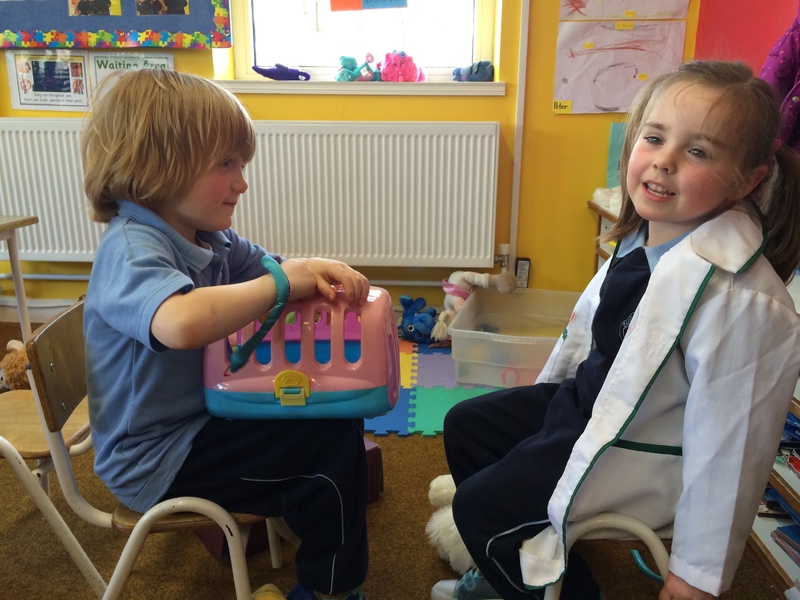 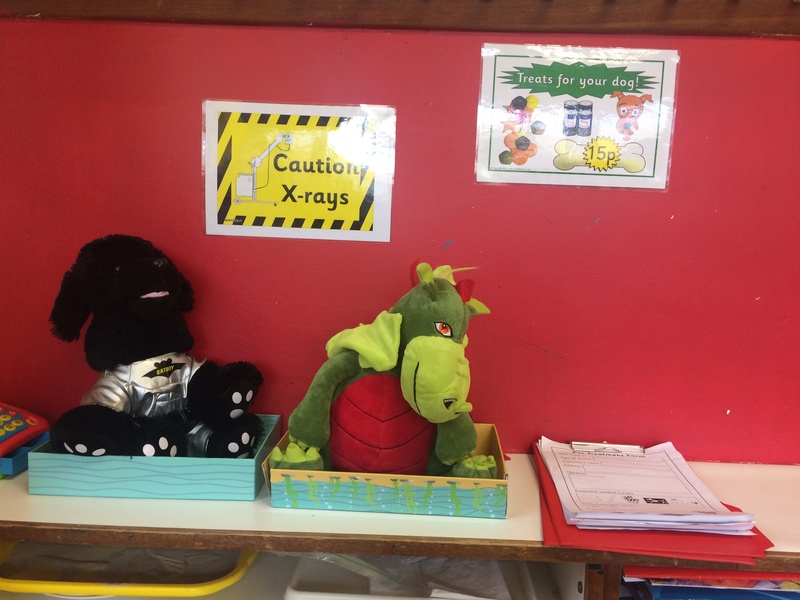 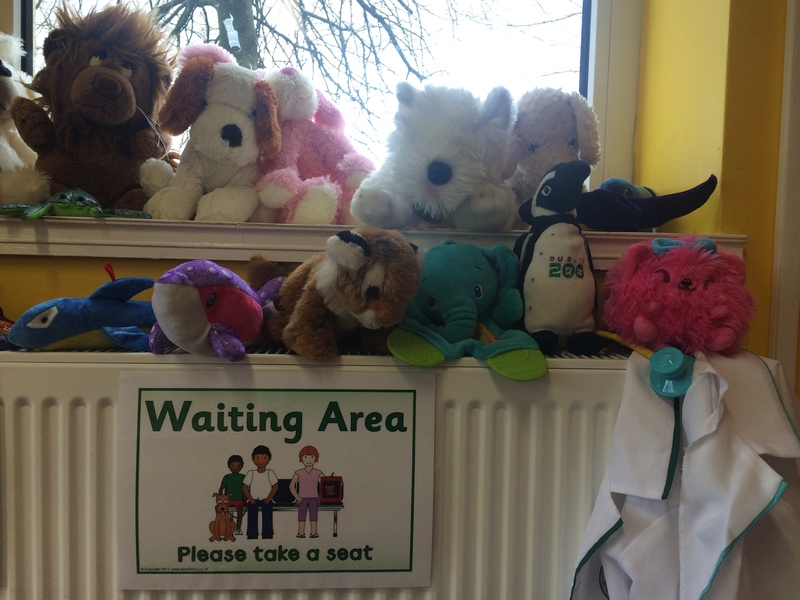 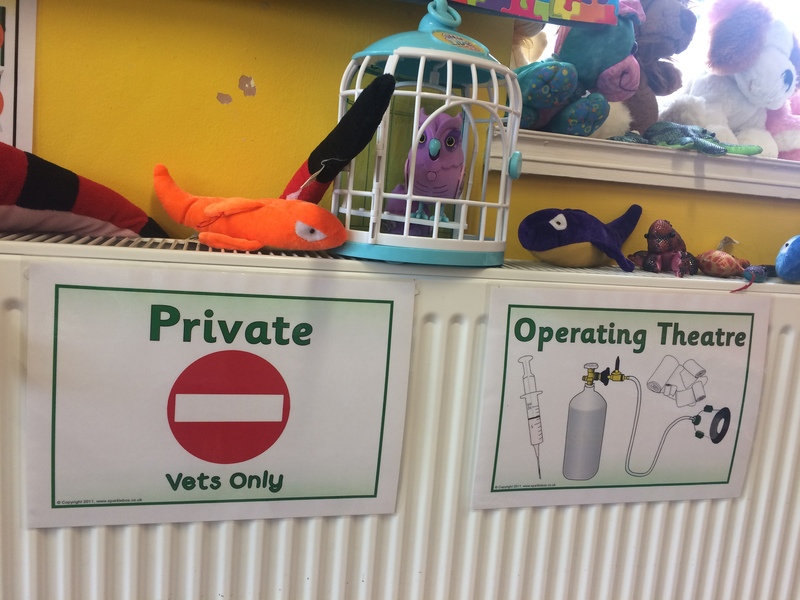 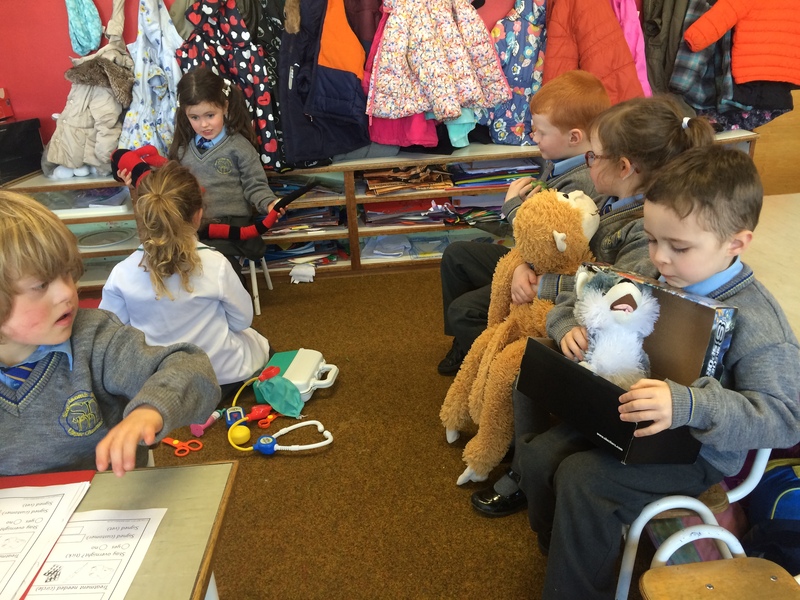 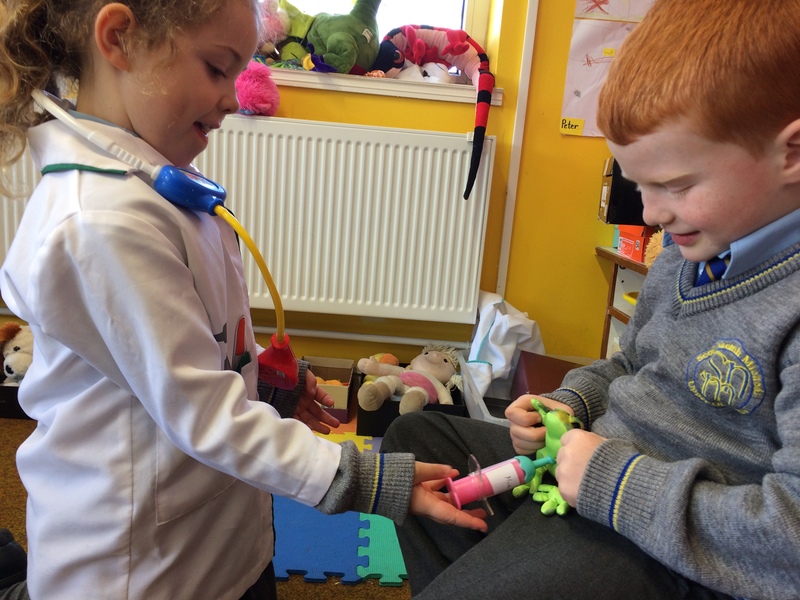 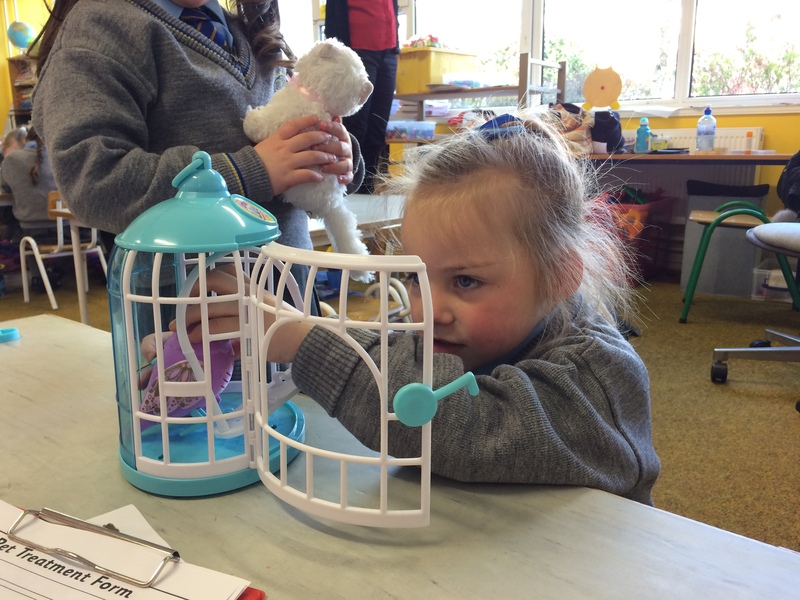 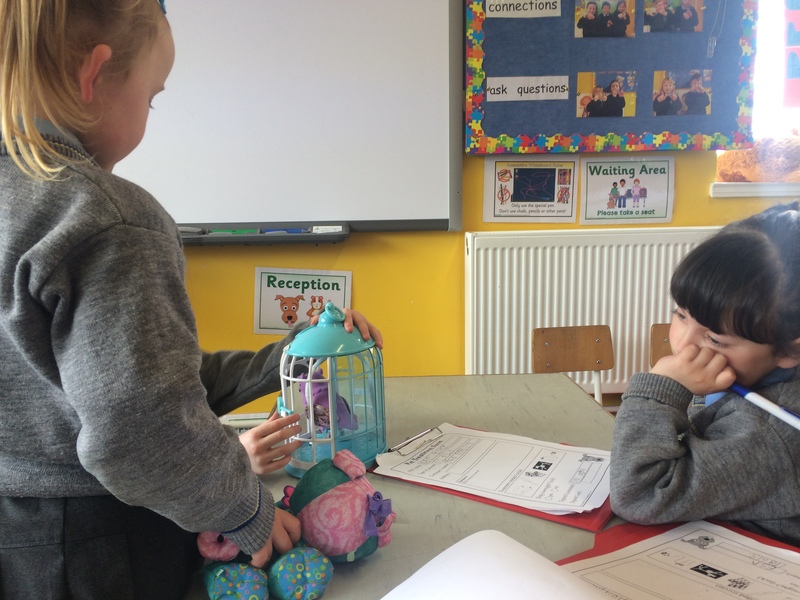 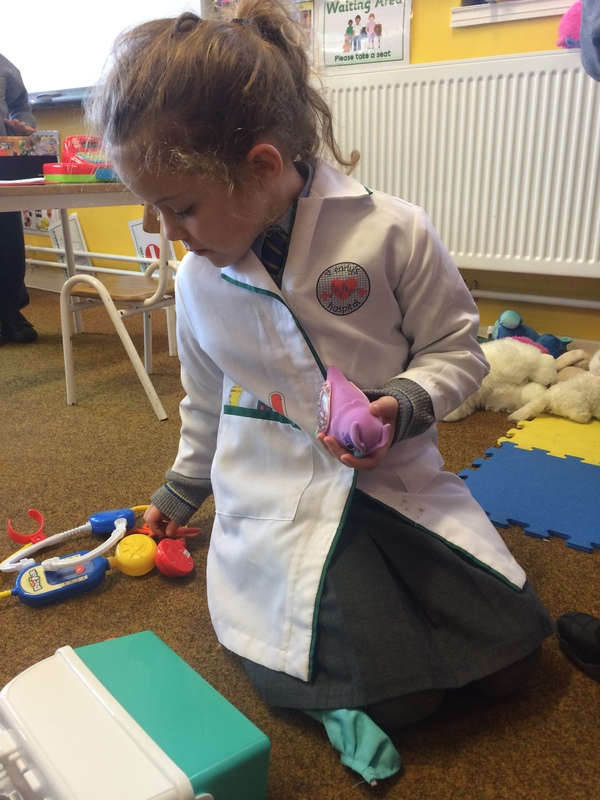 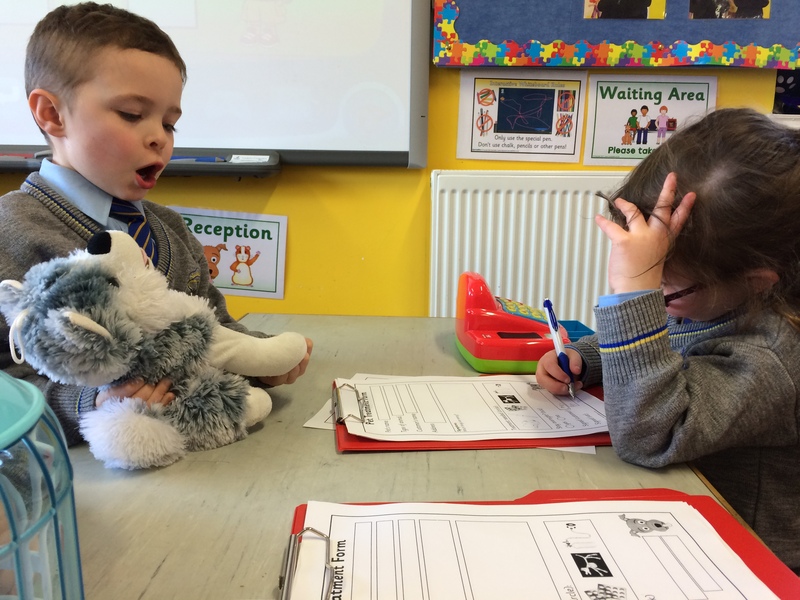 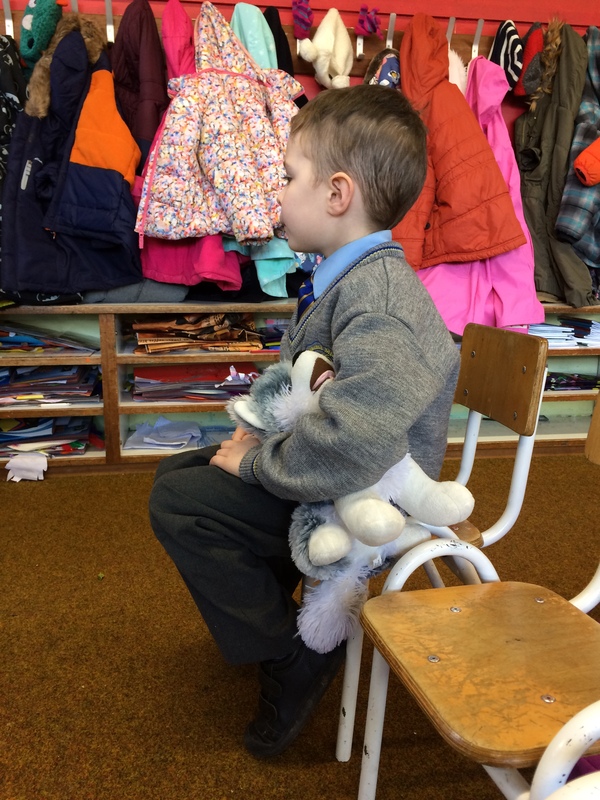 In the pretend play corner, the children took on roles such as vet, receptionist, pet owner and, in some cases, animals and really got involved in the play. 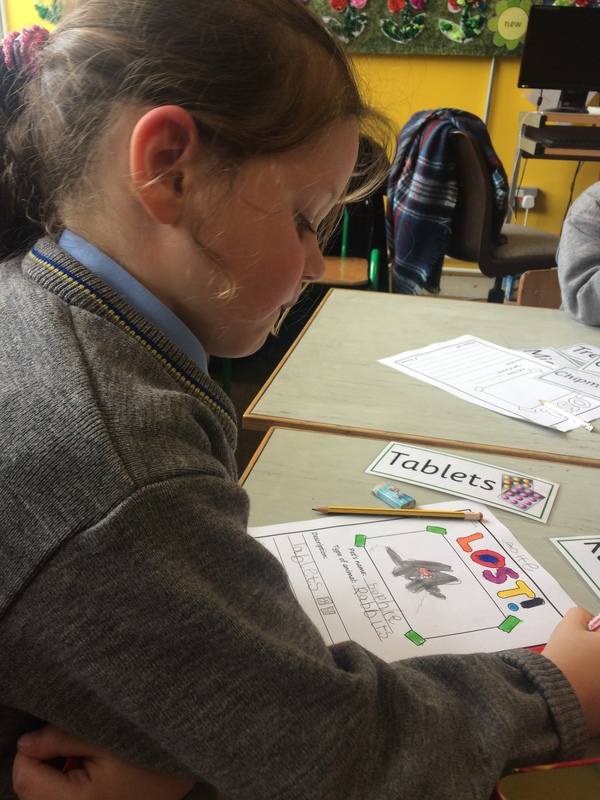 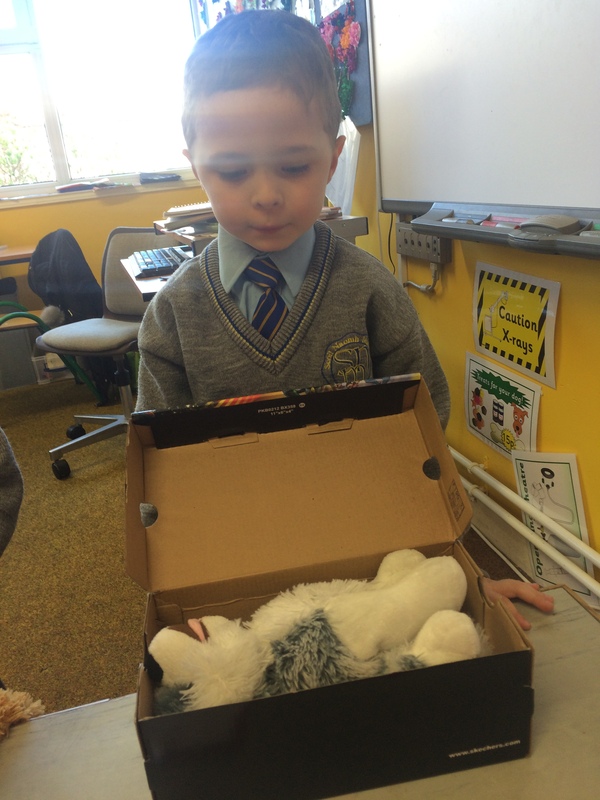 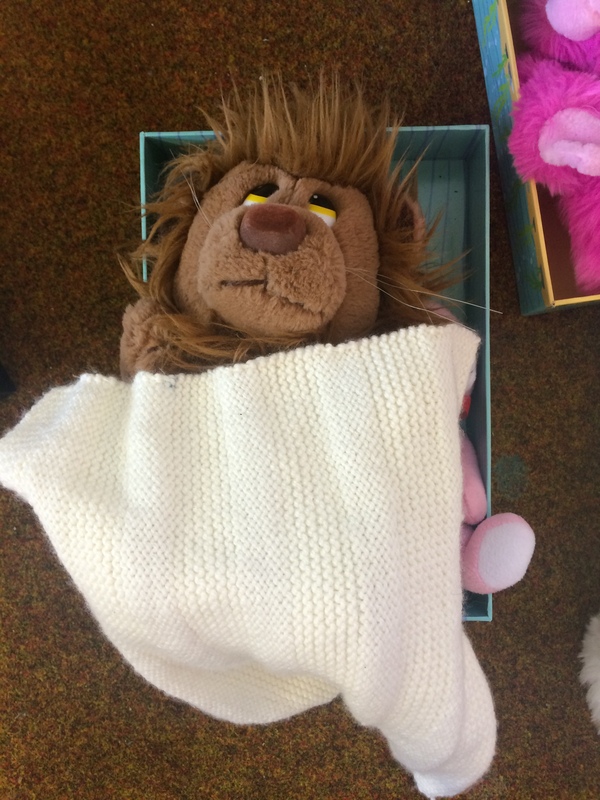 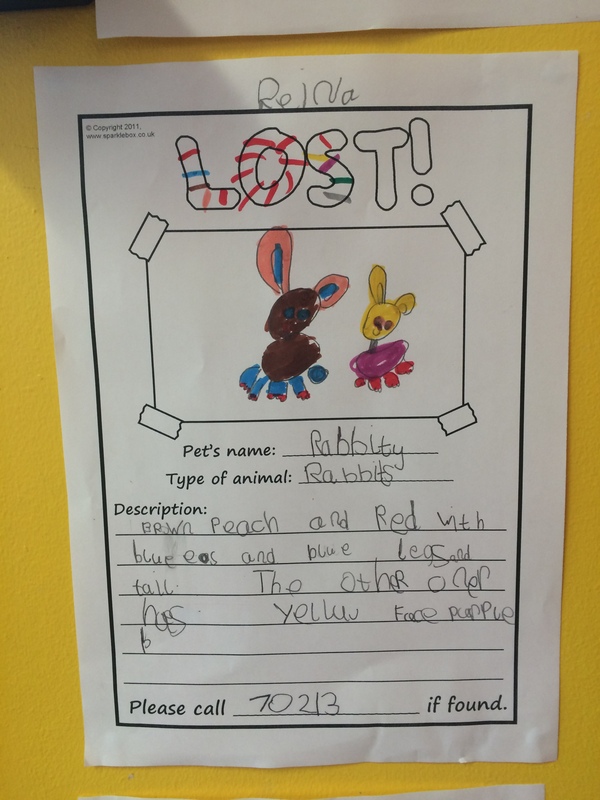 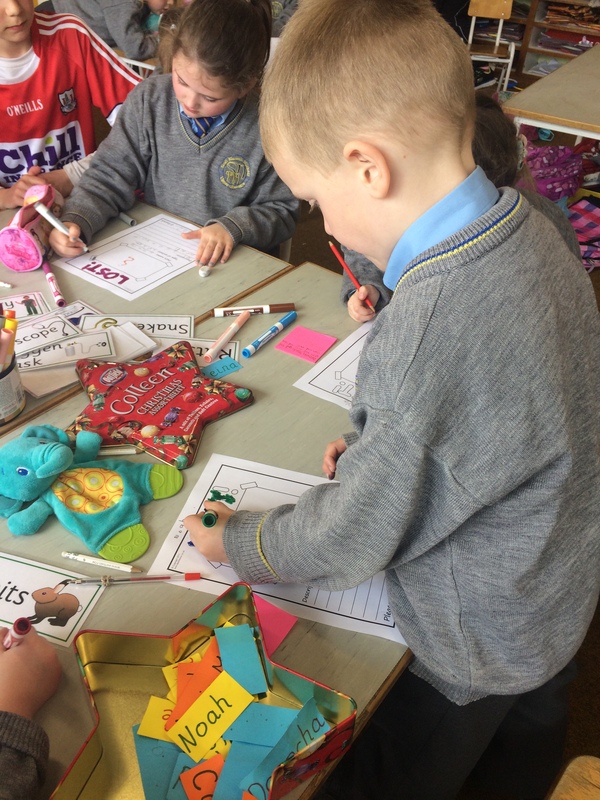 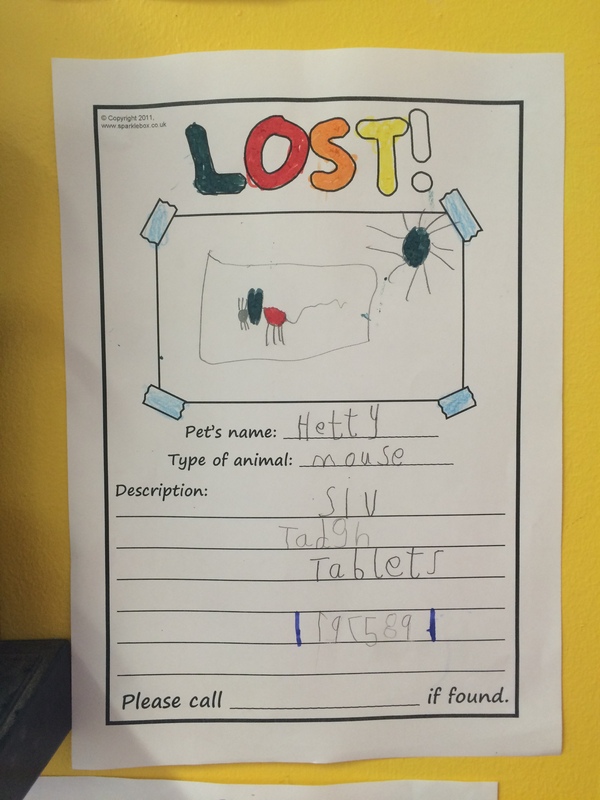 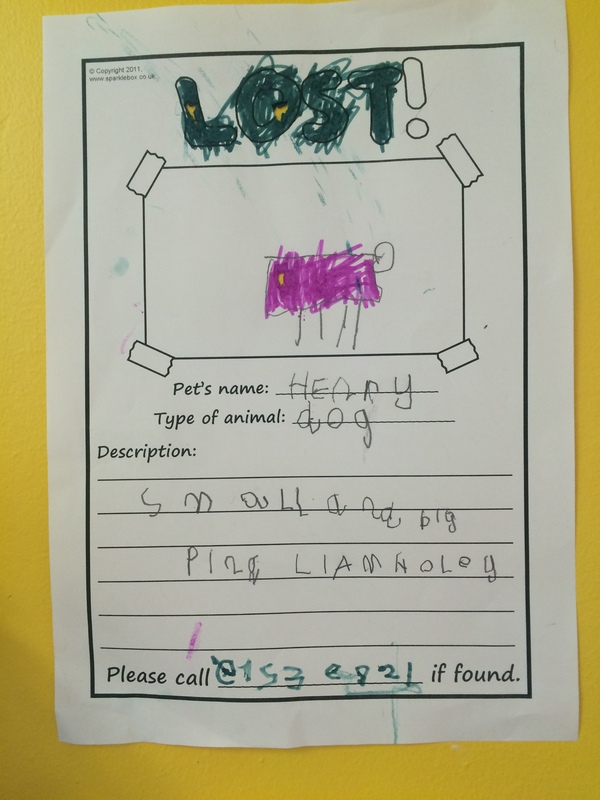 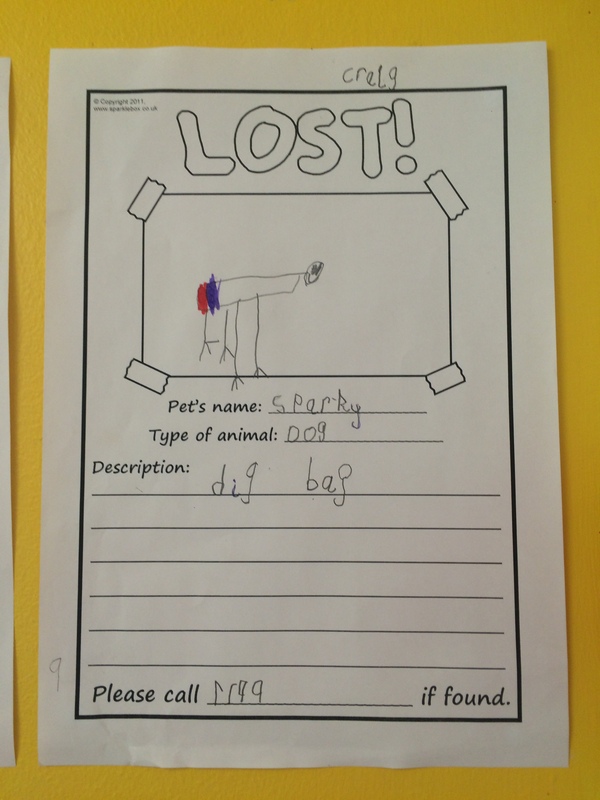 Many children brought their toy animals to school to be seen by the vets at play time and some also brought in shoe boxes that they used as beds for the sick animals.Meanwhile, the writing group were designing posters to help find lost animals. 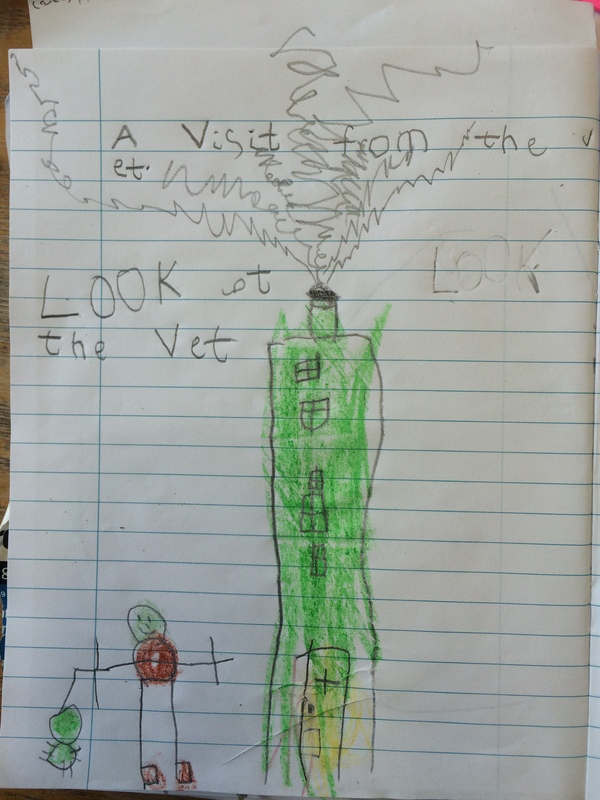 We were lucky enough to have a visit from a real vet too. 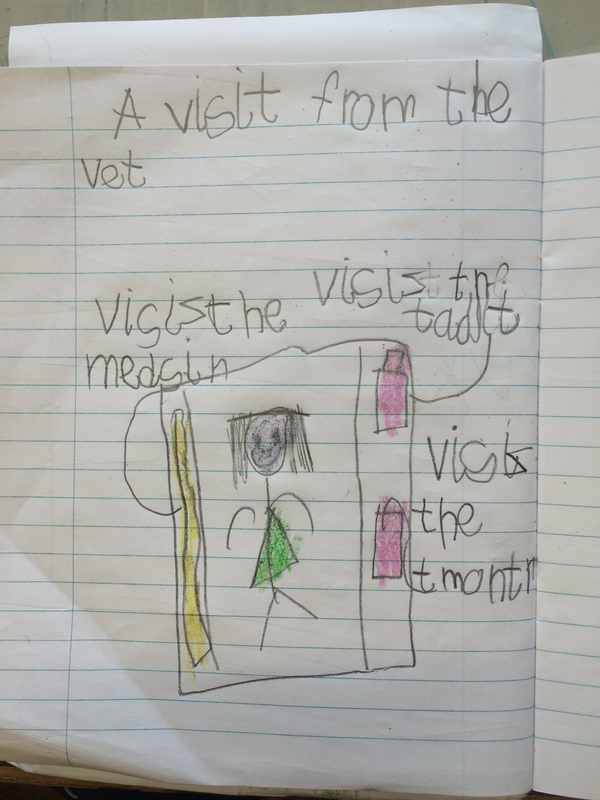 Rose’s mum came to talk to us about her job as a vet. 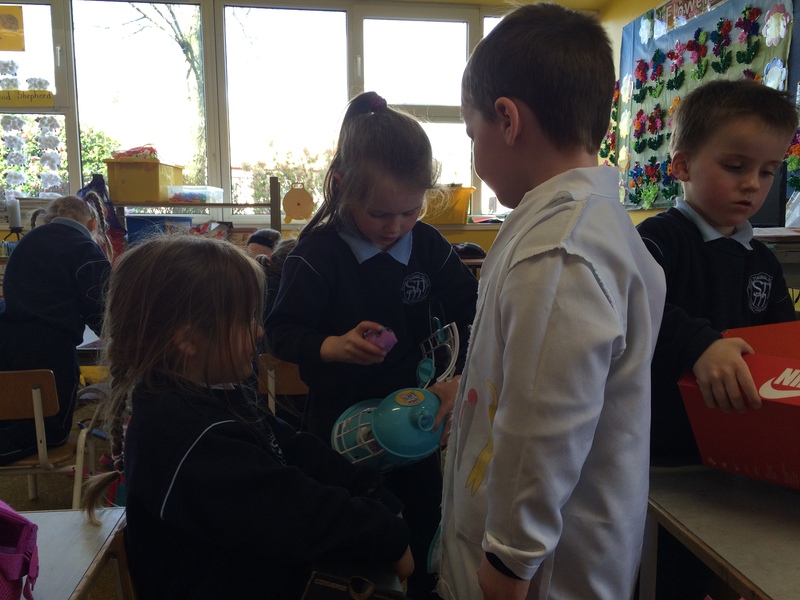 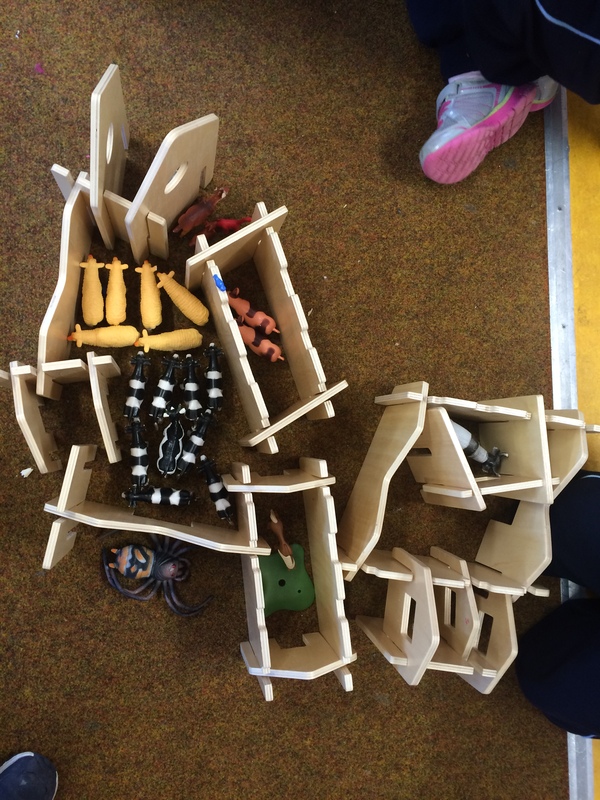 This talk really informed the children’s play and gave them lots of good ideas. 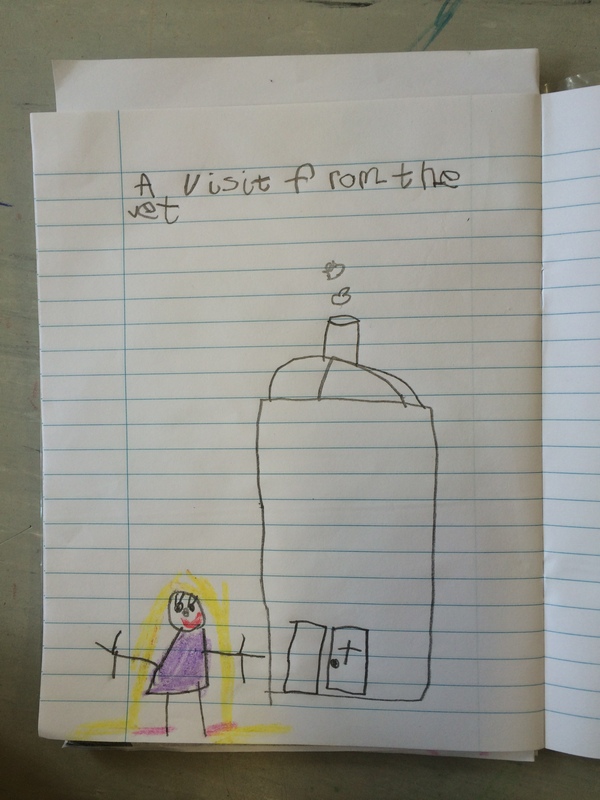 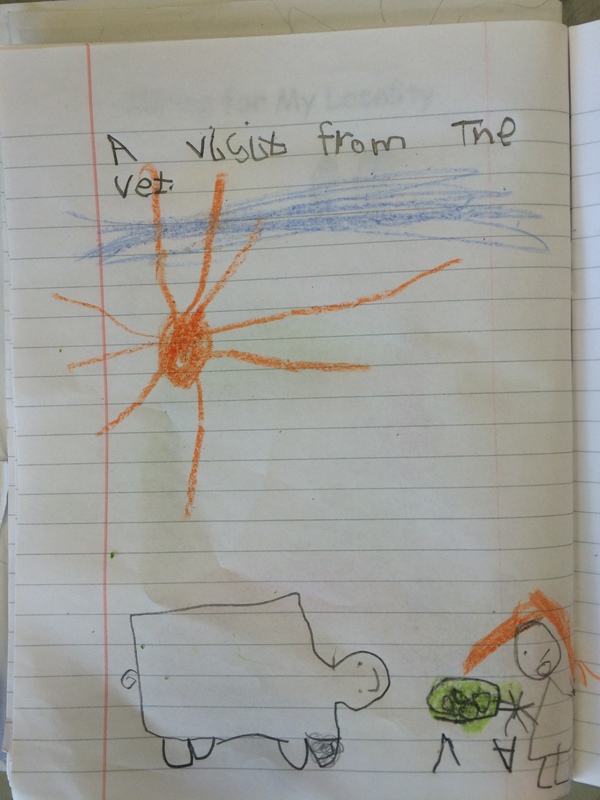 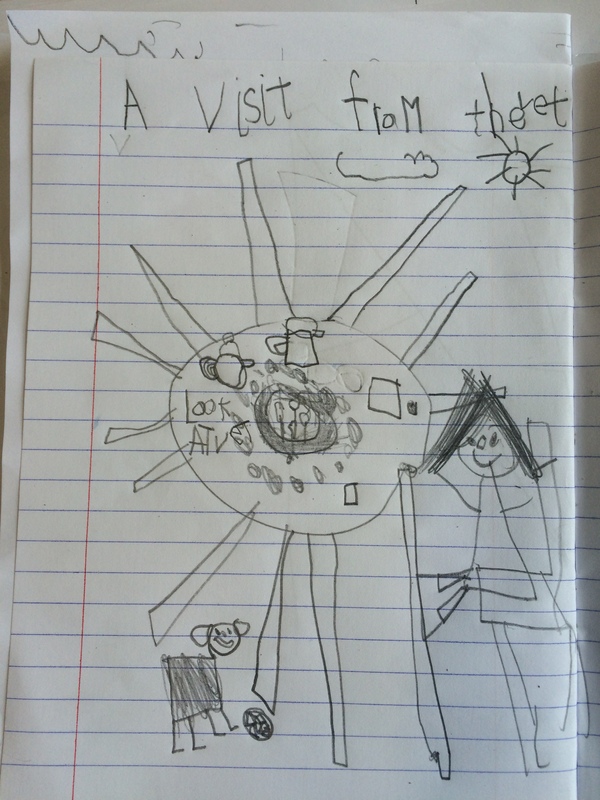 They drew and wrote about the visit in their SESE copies.